Have you been searching for a "flat tire repair near me"? If the answer is yes, you should consider contacting us for tire repair service and tire rotation service. Our certified technicians can inspect your car's tires thoroughly and quickly while helping you decide if you need any repairs or replacements. We understand that tire repair cost is always a factor to consider, which is why we strive to offer you a variety of discounts and tire rotation coupons. Speak to one of our professionals at our Saint Paul, MN, and Meineke #2593 to learn more about our tire repair services. Keeping your tires in optimal condition is important for a myriad of reasons. First of all, well-maintained tires handle better on slick and uneven surfaces. Their ability to handle these surfaces means that you and your passengers are less likely to be involved in a collision. Tires also have a significant impact on your suspension system, and if they are not rotated periodically, you may have difficulty steering your vehicle. Tires are frequently overlooked by drivers, but the better your tires perform, the better your entire vehicle will perform. Stop by our Saint Paul, MN, Meineke #2593 store for a comprehensive inspection today. Uneven tread heights and issues with vehicle stability at high speeds could each be a sign that you're in need of a tire repair or tire change service. However, these signs are often easy to miss. Fortunately, you vehicle will often tell you when its tires need some TLC through your in-dash tire pressure light. If and when it turns on, you should immediately stop and see which of your tires is over or underinflated. If the sensor continues to illuminate even after adding air to the tire, taking it into Meineke #2593 in Saint Paul, MN may help you avoid a high tire replacement cost. Be sure to check and see if you also need a tire pressure sensor replacement while you're there. A flat tire leaves you stranded, pure and simple. Yet there are other reasons why you should ask yourself "Is there a good option for tire repair near me?" long before you ever get a flat. Avoiding routine tire rotations won't necessarily keep your vehicle from driving (up until excessive wear causes a flat, that is), yet it does limit their performance lifetime. Given the significant financial investment your tires represent, wouldn't you want to get the most out of them? 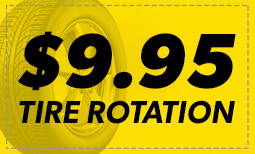 Contact us at Meineke #2593 in Saint Paul, MN to learn how a low tire rotation can save you hundreds of dollars in the long run. More than likely, if your tires have not been replaced in over ten years, they will need to be replaced. If you have had your current set of tires for more than five years, professionals recommend having them inspected at least once a year just to be on the safe side. In general, how often you need to replace or inspect your tires will depend on your mileage, driving habits and the road conditions your most frequently encounter. If you constantly drive long distances at high speeds, please remember to schedule an inspection at your local store in Saint Paul MN Meineke #2593. If you are in need of new wheels or tires, searching for "flat tire repair near me," may not always give you the best results. At Meineke #2593 in Saint Paul, MN, we are always willing to go above and beyond to ensure that our customers receive the best service for the lowest prices. We often offer tire rotation coupons and other deals to keep tire replacement cost low. 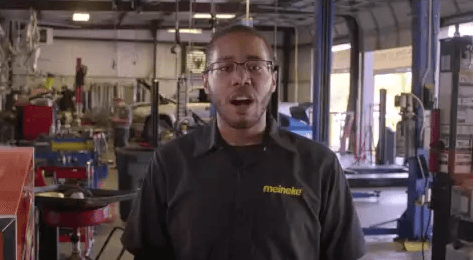 Save yourself time and money by bringing your car to Meineke #2593 the first time you are in need of repairs. Our professional technicians always take pride in their work, so you can be sure you are only getting the best possible service.